Real Estate Agents Insurance Colorado. Real estate agents list, advertise, promote or arrange the sale of real property or land for a seller or locate properties to purchase for a buyer. The agent often helps negotiate the price and conditions of the sales transaction. Real estate agents traditionally work on a commission basis, but fee arrangements are becoming more common. A real estate agent enters into a contractual relationship either with a buyer seeking to purchase property or with a property owner seeking to sell or lease a property. Some states permit an agent to represent both the buyer and the seller in a transaction. If you are a real estate agent, you are not immune from liability during the course of your business' operations, even if you work from home. A business owner's policy, or BOP policy, provides the protection you need to face lawsuits and claims against your business without sacrificing your business' reputation and finances. In your line of work, you likely face specific risks, including property damage, data loss, employee errors, and accidents. With a business owner's or real Estate Agents insurance Colorado BOP policy, you can mitigate those risks and protect your business' assets. Real estate agents insurance Colorado protects your office from lawsuits with rates as low as $27/mo. Get a fast quote and your certificate of insurance now. 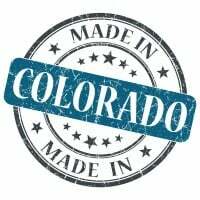 Request a free Real Estate Agents Insurance Colorado quote in Akron, Alamosa, Arvada, Aspen, Ault, Aurora, Avon, Basalt, Bayfield, Bennett, Berthoud, Boulder, Breckenridge, Brighton, Broomfield, Brush, Buena Vista, Burlington, Carbondale, Castle Pines North, Castle Rock, Cañon City, Cedaredge, Centennial, Center, Cherry Hills Village, Colorado Springs, Columbine Valley, Commerce City, Cortez, Craig, Crested Butte, Cripple Creek, Dacono, Del Norte, Delta, Denver, Durango, Eagle, Eaton, Edgewater, Elizabeth, Englewood, Erie, Estes Park, Evans, Federal Heights, Firestone, Florence, Fort Collins, Fort Lupton, Fort Morgan, Fountain, Fowler, Fraser, Frederick, Frisco, Fruita, Georgetown, Gilcrest, Glendale, Glenwood Springs, Golden, Granby, Grand Junction, Greeley, Greenwood Village, Gunnison, Gypsum, Hayden, Holyoke, Hudson, Idaho Springs, Johnstown, Julesburg, Keenesburg, Kersey, Kremmling, La Junta, La Salle, Lafayette, Lakewood, Lamar, Las Animas, Leadville, Limon, Littleton, Lochbuie, Lone Tree, Longmont, Louisville, Loveland, Lyons, Mancos, Manitou Springs, Mead, Meeker, Milliken, Minturn, Monte Vista, Montrose, Monument, Mountain Village, Nederland, New Castle, Northglenn, Olathe, Orchard City, Ordway, Ouray, Pagosa Springs, Palisade, Palmer Lake, Paonia, Parachute, Parker, Platteville, Pueblo, Rangely, Rifle, Rocky Ford, Salida, Severance, Sheridan, Silt, Silverthorne, Snowmass Village, Springfield, Steamboat Springs, Sterling, Superior, Telluride, Thornton, Trinidad, Vail, Walsenburg, Wellington, Westminster, Wheat Ridge, Windsor, Woodland Park, Wray, Yuma and all other cities in CO - The Centennial State.